Suffering appears to be innate within the framework of creation. Suffering seems to be inherent with the process of life, and difficult times are part of life, no matter who you are, as life has a beginning and end, at least what we call “physical life”. That is, this bunch of protoplasms that we call a physical life consists of various forms of cells that have formed this being called “Dave” by other bunches of protoplasms, and somehow have learned to work together for a period of time to generate a conscious being that is typing these words on the computer. How strange: we have no real idea why there is anything like life, and the best minds on earth have been unable to explain the “why” or the “how” of life. Richard Rohr has been discussing the mystery of pain and suffering in his recent daily meditations, and I am drawing heavily on his insights into this strange aspect of life itself: God seems to most accessible to the human mind in the midst of pain and suffering, and seemingly enters into the suffering at all times. Too often suffering appears to be the only route through which we humans can find the depth of the Joy of God, and that defies human logic on all levels. Only through suffering and our loss of control during suffering can we acknowledge the reality that we do not control our lives, let go of our need to control our life, and we can recognize the gentle love that sooths us – if we let it. The strange fact of true reality is that loss and pain, or suffering, seem to be part of the truth of God, or else why would Jesus have died in the pain of the crucifixion, if Jesus was (is) the living embodiment of the Christ? St. Paul puts it, in Romans 8:22-24: “We know that the whole creation has been groaning as the pains of childbirth right up to the present times.” (NIV) Pain seems to be part of the equation, or as St. Paul said, as the pains of childbirth. Unlike us, the pains of humanities’ childbirth has lasted at least 70,000 years, and if looked at in a certain light, ever since the Big Bang 13.7 billion years ago. We are in the pain of being born, generation by generation, into a new being, a new perfection of the living Christ fully conscious with the light, fully living as spoken in 1 Corinthians 12:27: “Now you are the body of Christ, and each of you is a member of it.” The pain of life is apparently the gateway to the evolutionary path we are taking as conscious beings to be fully integrated as co-joined members of the living Christ. It has taken 70,000 years to get this far; hopefully it will not take another 70,000 years to reach the next step. 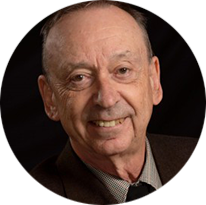 We seem to be on the cusp of a new birth, but it has taken 2000 years since the time of the birth of Jesus who announced the upcoming change; and it may take another while before we can evolve to the new level. Suffering is the path to perfection, and the path to, paradoxically, joy and happiness. All members of Alcohol Anonymous (AA) that have used the 12 steps to their intended conclusion have achieved joy and happiness in their lives (or are in the process of moving in that direction) will admit, usually, that it appears that they had to go through the pain and suffering of the degradation of alcoholism to find joy, and their regret is the pain they caused so many others on that road. Of course, that pain they have caused may have provided the path to others to find the source of all joy, God. Those individuals now do not regret their own suffering, as they freely admit that without that suffering their ego was destroying them, and only when they had moved beyond their ego could they find joy. The path of pain leads to the path of faith, where one learns through pain and suffering that we can gain the faith of the goodness of God, who relieves the emptiness of life and brings the joy of love to fulfill that life. Faith allows the moving from just coping with suffering to using that suffering to find freedom and love and the fullness of life. God appears to dwell in the center of all suffering, to the dismay of all who follow the path to God. Suffering is the key to freedom, and only when we accept that path with its suffering do we find the freedom that the love of God represents. Accepting that the path to eternal Love is a path into suffering is dismaying to say the least, but only when we can develop a recognition that all the world suffers at some level can we begin to see the commonality we humans, and especially I myself, have with all: all suffer, and in the broader sense, all the universe suffers together, for suffering is the pathway to self-giving, compassion, and finally eternal love. 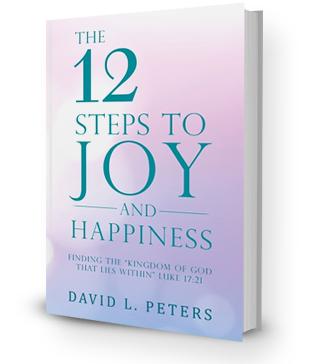 The book The 12 Steps to Joy and Happiness, finding the Kingdom of God That Lies Within” (Luke 17:21) walks the path needed to being one joy and happiness in life, despite the many periods of suffering we all experience. The path of suffering makes us what has been called the “wounded healer”. Only someone who has walked the path of suffering will understand another is walking that path, and can offer the support of empathy to others. We are all “walking wounded”, and until we accept that suffering of our wounds can we help others who are wounded. My God, your path of suffering seems to be the most solid road to joy and happiness in life. You have shown us in everything in the universe that growth and fulfillment comes with a price, and that price appears to lead directly to deep suffering and pain, sometimes physical but always mental. But I ask for the willingness to accept the necessary pain involved in spiritual growth, and to shift all suffering into that growth in life. You have blessed me with suffering that has acted as a cleansing element, and I am grateful for all that You have done to heal me from my wounds.